Chester Football Club – Official Website » SPONSORSHIP | BuyCleverStuff team up with Chester FC TV and Seals Live! SPONSORSHIP | BuyCleverStuff team up with Chester FC TV and Seals Live! Chester FC are delighted to announce a Media Sponsorship with local audio and visual specialists BuyCleverStuff. 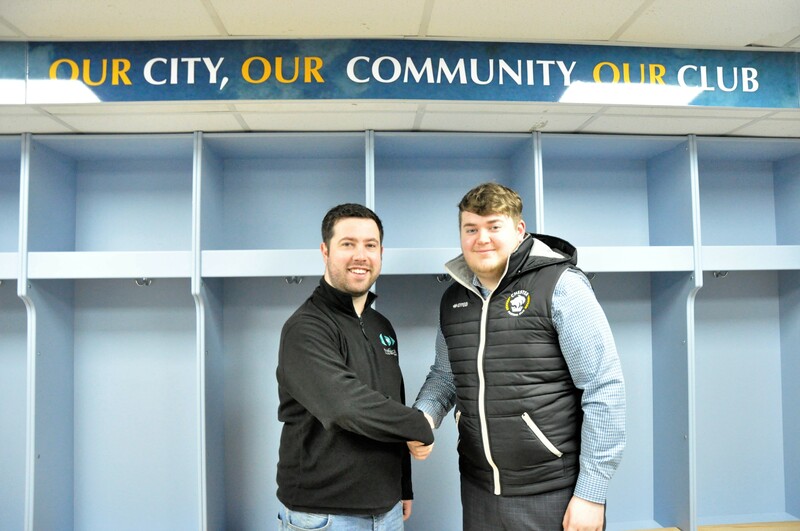 Both outlets remain free for fans to use, with the sponsorship aiding the Media Team with vital equipment, supplies and support in order to make these services even better for supporters. At home games in the immediate term, Seals Live will now have some brand new features. Make sure you tune in at www.mixlr.com/chesterfc starting this Saturday against Boston United to hear them in action! A Saltney-based company, BuyCleverStuff will be known to fans as the company who installed our fantastic new PA system following infrastructure damage last year. “Jon, Rob and the rest of the team have been hugely supportive to myself, the media team and the club. They tick so many boxes as they are a local business doing their bit for Chester FC, and they understand what we are trying to do on the media side within the club. BuyCleverStuff has been one of the leading specialist audio-visual suppliers online in the UK since 2006. Supplying home audio visual equipment from simple radio solutions ideal as gifts, through to integrated home audio and visual systems that are perfect to install during renovations. With years of knowledge and focus on offering the best products, service and price, alongside thousands of 5-star recommendations and many repeat customers; they are a leading online retailer in their sector with a massive reputation for service, and quality products at exceptional value for money. Our philosophy to product selection is that products sold are only products that they would want to purchase and own themselves. WATCH | Introducing our new media sponsor, BuyCleverStuff!